Our swimming pool is located in the garden, sheltered from wind. It has a shallow children’s pool and maximum depth of 1.7 meters (5.6 ft). 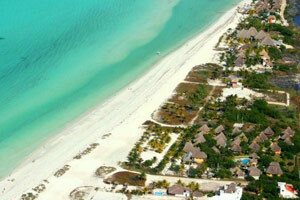 Villas Delfines is located directly on a fine sand beach on Isla Holbox. We offer guests lounge chairs, cushions and beach towels. Mayan Spa invites you to experience wonderful massages and body treatments through the best ancient and contemporary techniques. 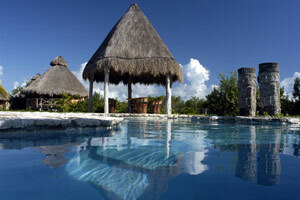 Hotel Villas Delfines has an ample and well cared for garden. Among the bungalows are different trees and bushes like coconut tree, a variety of palm trees and colorful buganvilla, cupid’s tears and laurel. A variety of mangrove trees, papaya, sea grape and other diverse plants are also found here. This variety flora attracts a variety of colorful birds, chirping and singing for our guests in the morning. Normally you will see in our garden birds including mockingbirds, singing thrush, the Mexican Grackle, oriole, common turtle dove, red turtle dove, tropical tyrant, night heron and different types of woodpeckers and hummingbirds.